Let’s assume you want to add a lighting system to your front yard and illuminate the front of your house. Perhaps light a tree and the walkway to your house. Take a pencil and paper and go outside and sketch your property. Make sure you include any trees or walkways you want to light. Be sure to include your power source as well. You don’t have to be an artist; all you need is a rough sketch. It doesn’t have to be to scale and it doesn’t have to be perfect. Just get the area on paper. Initial drawing of house and yard. Click to enlarge. 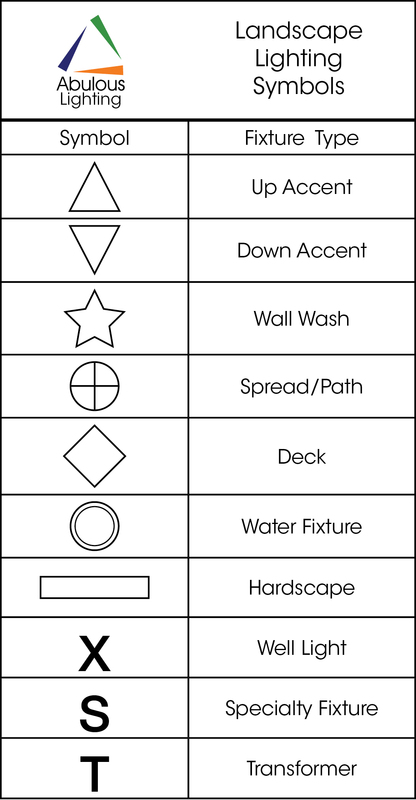 This is the symbol chart we use. You may choose to develop your own. Click to enlarge. You will need to decide on a set of symbols to use to identify what type of fixtures you will be using. It really doesn’t matter what convention you follow as long as you document what component each symbol represents. If you want to use the symbolism many professional landscape lighting designers use check out the figure to the right. Either way you’ll want to create a standard for yourself so you (or the person you sell the house to) can come back later and know what is where. Next you’ll draw in your fixtures. What you want to light will determine what type of fixture you’ll use and where you will draw them. You will probably want to use up-lights on your house and path lights around your sidewalk. Up-lights work well on trees as well. Drawing of house and yard with fixtures. Click to enlarge. Now that you have decided which fixtures you will use and where they go it is time to determine your wiring layout. Begin by deciding your transformer location. In most cases you’ll have only one receptacle to choose from so your transformer location will be made for you. Even though you will be installing an LED system it is still important to adhere to industry practice when laying out your system. You’ll want to separate your fixtures into zones and avoid long daisy-chains if possible. In many circumstances it will be hard to install a system without having to bore under a sidewalk or run wire through a garage. You will see in the drawing below we have to bore under the sidewalk as well as a wire-run through the garage. We will be posting articles on both of these tasks in the near future. In the meantime you can find helpful articles elsewhere on the Internet to get you up-to-speed. 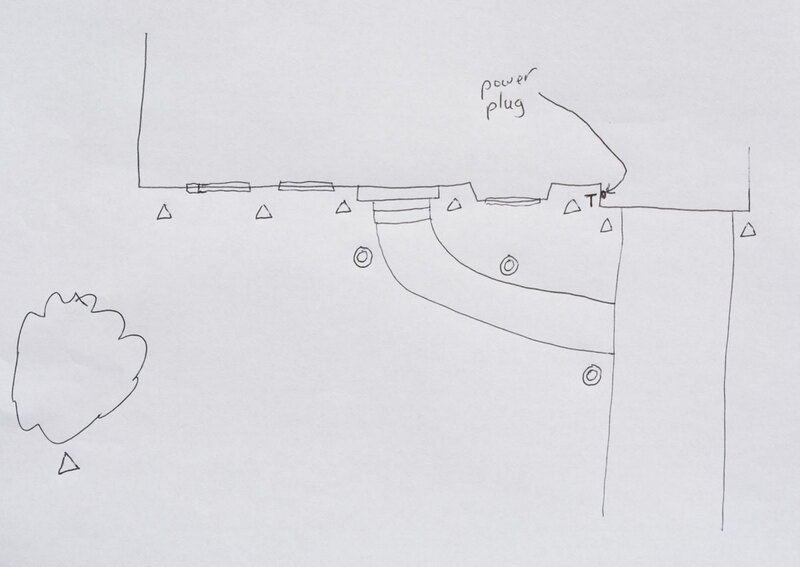 Drawing of house and yard with fixtures and wiring. Click to enlarge. Your final design step will be to label each fixture. You’ll want to number each fixture so you can create a bill of materials with the wattage and beam spread. In the diagram below we have two types of up-lights. Inside most of the up-light triangles you’ll see a #1 for the lights on house. These represent 3-watt fixtures with a 30-degree spread. The one up-light on the tree is a 6-watt fixture with a 30-degree spread (labeled #2). Finally the path lights are all the same and are labeled #3. 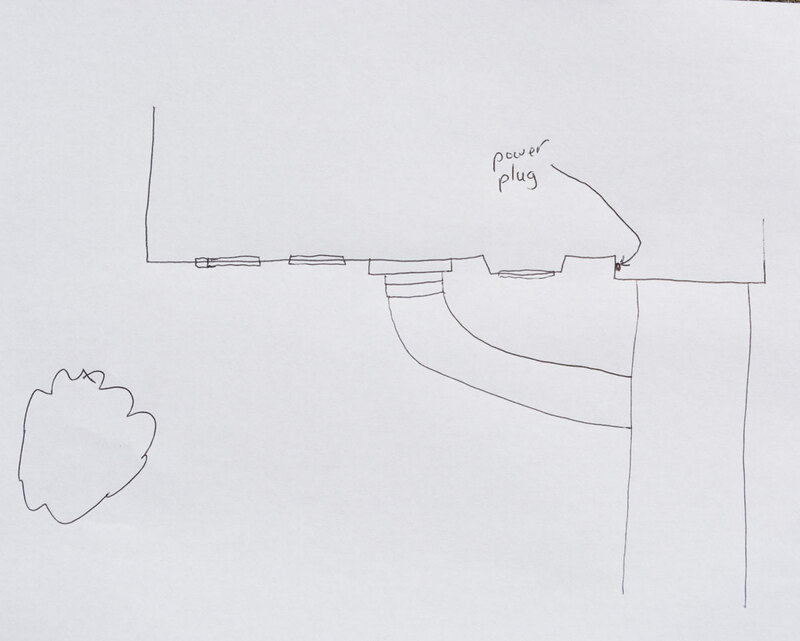 Drawing of house and yard with fixtures and wiring. Symbols are numbered to indicate wattage and beam spread. Click to enlarge. 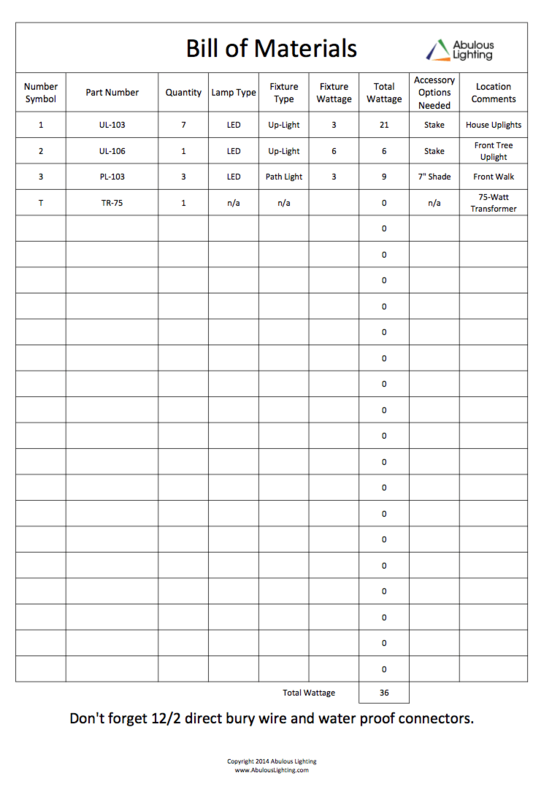 Sample Bill of Materials. Click to enlarge. Your final step in creating your plan/design is to create your bill of materials. You will take this to the lighting store and it will be your shopping list. To create your bill of materials, add up the number of each component type. You will also need to calculate the length of wiring you will need. It is likely that you will encounter unforeseen installation issues so we recommend you purchase an additional 20% more wire that your measurements indicate. 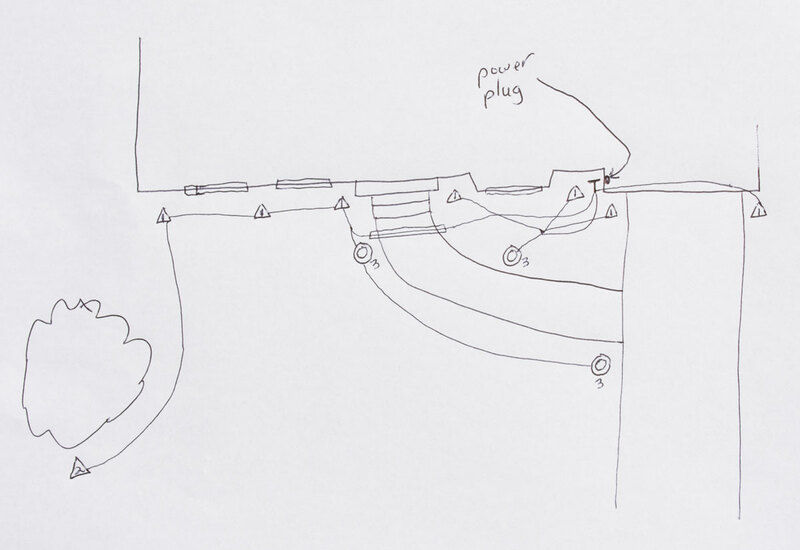 We recommend 12/2 direct bury wiring for all installations. You will need to determine which transformer will be appropriate for your installation. Since this is a simple LED system you will not have to perform extensive load and voltage loss calculations but nevertheless we recommend you show your plan and bill of materials to the expert at the store where you’re buying your system. They should be able to advise you. Finally, there are many connection types and each type has their pros and cons. 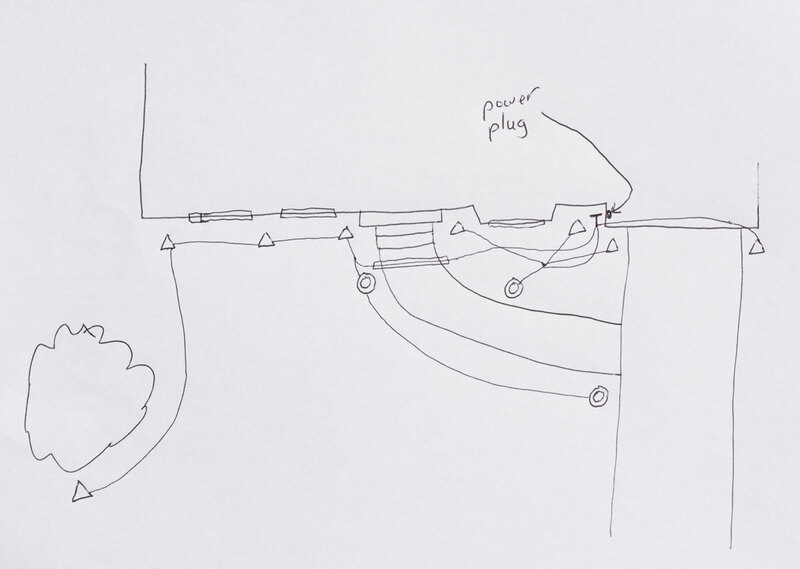 We use waterproof wire nuts which are illustrated in our Outdoor Lighting Mistakes article. As an added resource here is a Bill-of-Materials spreadsheet. This article has illustrated how to plan landscape lighting. This is your first step towards creating the best possible landscape lighting system for your property. Your next step will be to purchase your components and begin your installation. We have many articles that are designed to help you through the process. If you decide you’d rather not take on the project we are here to help. We offer free consultation and design we’d love an opportunity to work with you. Our contact information is below or you may visit our FREE CONSULTATION page to schedule an appointment.